First off all, a short announcement. Chaosbunker is going bi-lingual, so from now on, all of the updates and posts will be in english as well as german! Hooray! I was working a lot on the upcoming reviews, prepared the miniatures and took a lot of pictures, that will be covered in the upcoming days and weeks on here. A few pictures to give you an impression, what's coming for you. Let's go into detail. 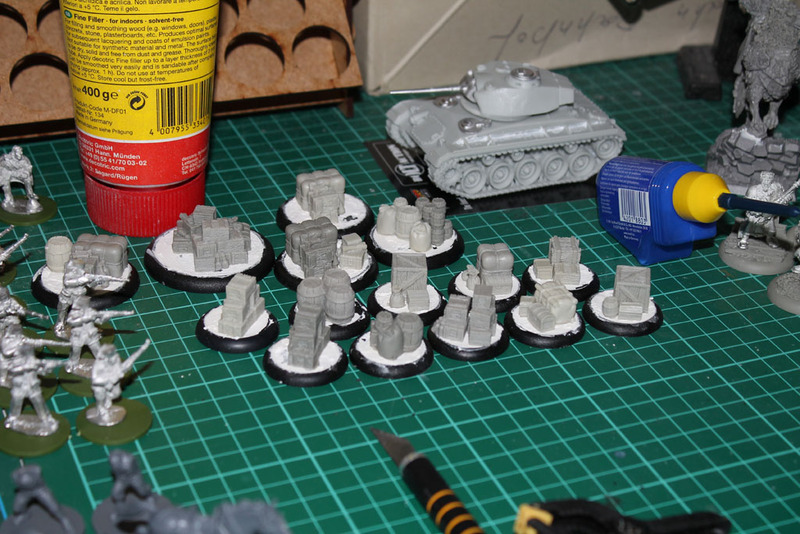 I finally got my "replenishment" of Renedra Bases, 2oo of 'em to be precisely, as i use them beside Bolt Action for my Zombie Survivors and SAGA Troops. 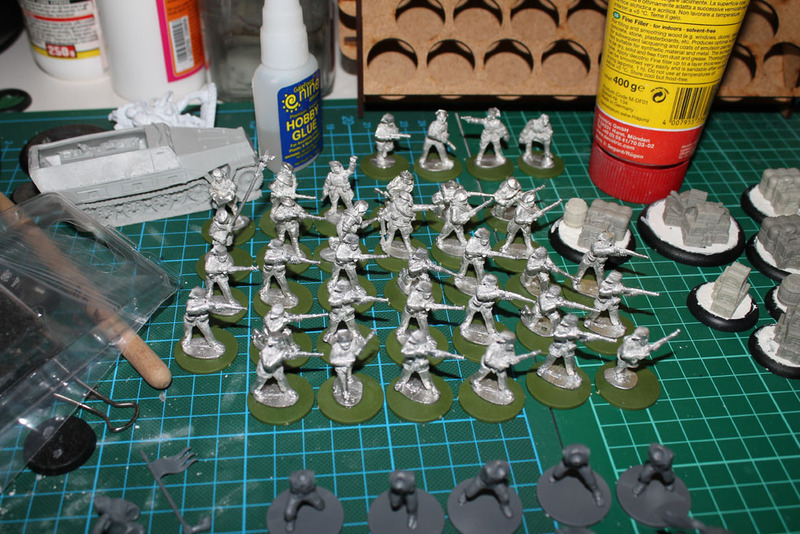 But first my Spanish Civil War Miniatures for Bolt Action (what is he talking about? Spaniards for Bolt Action? Yes! But more on that topic at another time) were based. 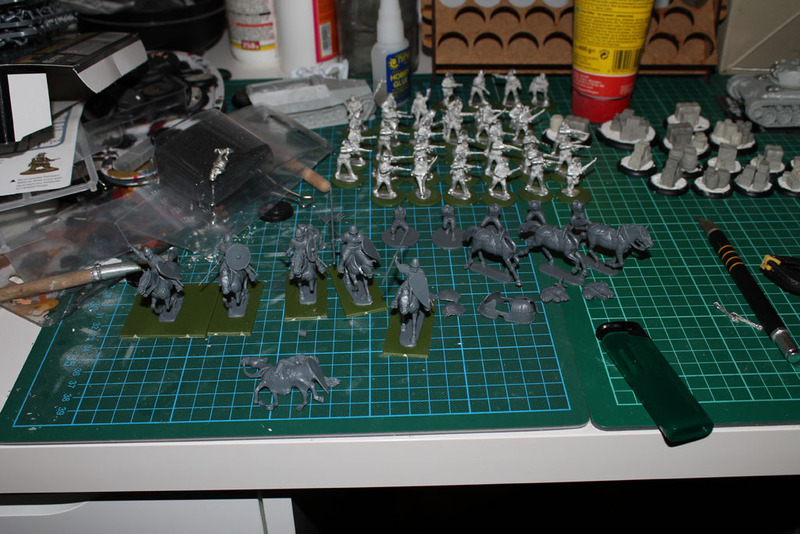 Those will be covered along with some more miniatures from Empress Miniatures in an upcoming review. As i already threaten everybody with building general gaming loot markers, i no longer just talked about it, i built them. As those are non-specific supply markers with crates, boxes and bags from Tabletop Art, they can be used for quite every system and were put on round lip bases to lift them from the simple terrain and make sure they were recognized as markers and not just "coverage". 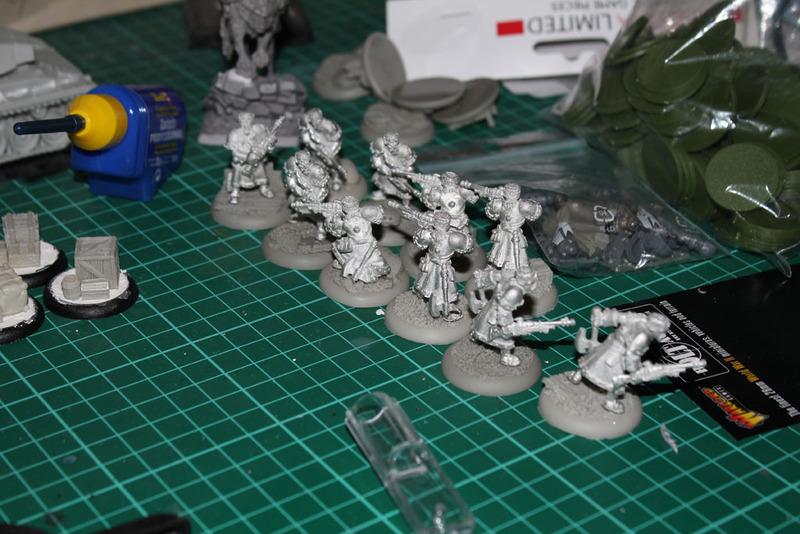 And the last part of my Warmachine Khador project was glued and based, so they are now ready for the primer and some paint, the rifle squad. Not in the picture, the squad of 6 battle mechaniks. The upcoming season of wargaming events is just a few weeks away and i am really looking forward to the Bitbox, Crisis and a few other fairs and shows. Hope to see you guys there or read some feedback here. I am thinking about organizing a small but exclusive wargaming conference (not a convention!) with a story lead campaign and perhaps a lecture on some topics with rumours and upcoming stuff.